Disclaimer: USG is a part of Gamer Network, which is wholly-owned by ReedPop. ReedPop operates PAX, EGX, New York Comic Con, and more. I’ve been going to E3 for a long time. My very first show was way back in 1997. My mom had been kind enough to get me a work permit, so I was a freshly-minted high school employee at Video Game Exchange. Much like today, you could get into E3 if you worked in the industry, and being an employee at a gaming store counted. So my fellow employees and I went on a road trip to Atlanta, Georgia. I remember playing Star Fox 64 on the big screen for the first time. I won a golden Nintendo 64 controller, and I met Shigeru Miyamoto outside of the convention. I love E3. I love this crazy advertising Thunderdome that happens each year. The « Winners » and « Losers » of any E3 is a meaningless distinction for the most part, but for those few days, it feels important. I admit there are problems-people let out their worst sides when hype is involved and the E3 week keeps getting longer-but I enjoy the show nonetheless. E3 has been changing though. In 1997, it was the era of the gaming magazine: all the E3 news you got came from a few trusted magazines or upstart websites. As time went on, websites got better and faster at reporting on the latest from E3, and the event evolved to accommodate them. YouTube changed things yet again. Suddenly, publishers didn’t have to talk to their communities within the confines of three days in June. Following a run of Nintendo Direct presentations on YouTube in 2011 and 2012, Nintendo decided to skip having a press conference at E3 2013. The company was there on the showfloor with playable games, but fans saw the announcements at the same time the industry did. Other publishers were learning as well, with trailers and announcements beginning to come before E3 itself, in order to carve out audience mindshare. Meanwhile, the industry continued to evolve. E3 was no longer the only game in town with the start of the first Penny Arcade Expo. That event began in 2004, running as a video game-focused version of the fan conventions that run across the world each year. A year later, Blizzard Entertainment launched the first Blizzcon, aimed at its most passionate fans. Microsoft has occasionally offered its X events since 2001, with the most recent being X18 in Mexico last year. Gamescom began in Germany in 2009, offering industry and general attendance days. Sony offered its first PlayStation Experience event in 2014. Electronic Arts left the E3 showfloor in 2016, moving off-site with its own EA Play event open to fans. And last year, Sony announced that it wouldn’t have a presence at E3 2019 at all. Streaming video services like Twitch means that fans and media are present for events, even if they’re not in the room. A publisher or developer can run a stream or their own small event at any time. Why wait for June when you can directly talk to your community anytime you want? Just last month, Warner Bros and NetherRealm Studios put on a Mortal Kombat 11 showcase, giving players a sneak peak at this year’s fighter. With the decline of E3’s star, show organizer the Entertainment Software Association has had to scramble keep it relevant. With E3 2015, E3 was opened to a limited number of influencers and « prosumers ». Two years later, E3 opened to the public with a total of 15,000 tickets being sold for non-industry and media attendees. With E3 halfway to becoming a consumer show, it’s not surprising to hear some in the industry calling for E3 to take the final step. That’s easier to say than it is to do. Logistically, there are different considerations between running a trade show and community convention. 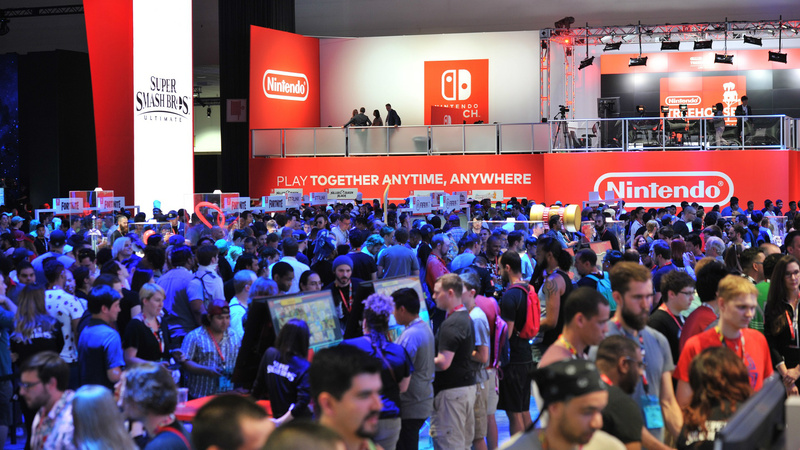 E3 in the past has had security and booth staff brought in by each publisher and developer, because with a smaller and quieter attendance, things like lines and traffic flow are less of a problem. Once you open E3 to the public, you have to start thinking about those issues in-depth. Most conventions I’ve been to have a core event staff, but also hundreds of volunteer staff to help funnel people around the convention itself. PAX has its Enforcer program, which has thousands of people across its various shows; every Enforcer gets access to the event and a small hourly wage. If E3 becomes a fan-focused event, then it needs an equivalent program to ensure attendee safety. Similarly, someone has to approve and monitor those potential panels, which require line space and rooms. The change would also see E3 continuing to lose its status among the gaming events each year. What is E3 now? The DICE Summit and the Game Developer Conferences are aimed primarily at the industry, allowing professionals to come and share knowledge. All the PAX and EGX shows are fan-driven, allowing developers to meet and engage with their community. 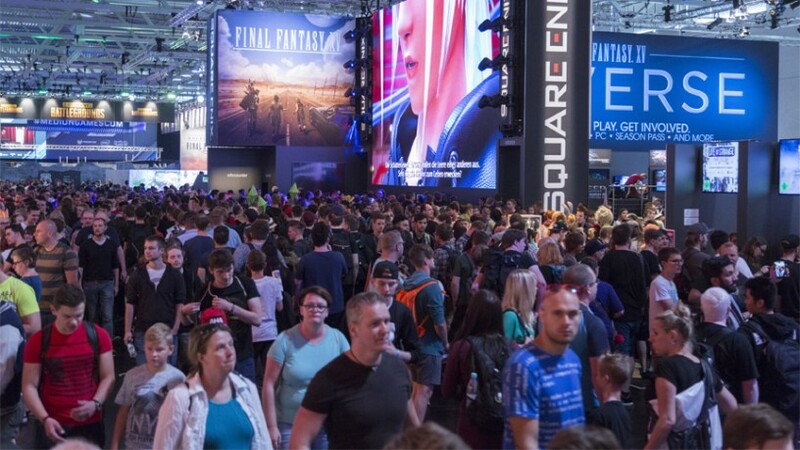 Gamescom has lived by straddling the split between the industry and community sides, and being the biggest show in Europe. The Game Awards is slowly trying to take the pure advertising crown from E3’s press conferences. The quote above about a community event is Layden spitballing, not the actual direction of the show, but with the rise in public attendees, it feels like the ESA is moving in this direction. If E3 becomes another community-focused show in an era when announcements and showcases can happen at any time, what makes it relevant? That’s the question in front of the ESA. E3 is no longer the sole battleground in Video Game Marketing Battle Royale anymore. Without the big name publishers bringing their best and brightest, what does E3 bring to the table? I’ve racked my brain, and the best answer I can come up with is the timing.. Without all the clout, E3 is just another one of the many community conventions that happens each year. For part of me, the kid who remembers going to his first E3 and meeting Miyamoto for the first time, that’s sad. But the rest of me is an adult. Change doesn’t stop for anyone and everything dies eventually. Maybe E3 will continue on as it is, maybe it’ll become just another destination on the punch card each year, maybe it’ll be gone completely one day. I think what it was is gone though, and there’s no way to bring that back. Here are the major releases for the week of February 11 to February 15. Want to see the complete list? Check out our full list of video game release dates for 2019. Crackdown 3 [Feb 15, Xbox One, Windows 10]: It’s been ten years since Crackdown 2 and five years since Crackdown 3 was first announced, but Microsoft’s open-world shooter is finally coming this week! After jumping from developer to developer, can Sumo Digital deliver on the promises made way back in 2014? 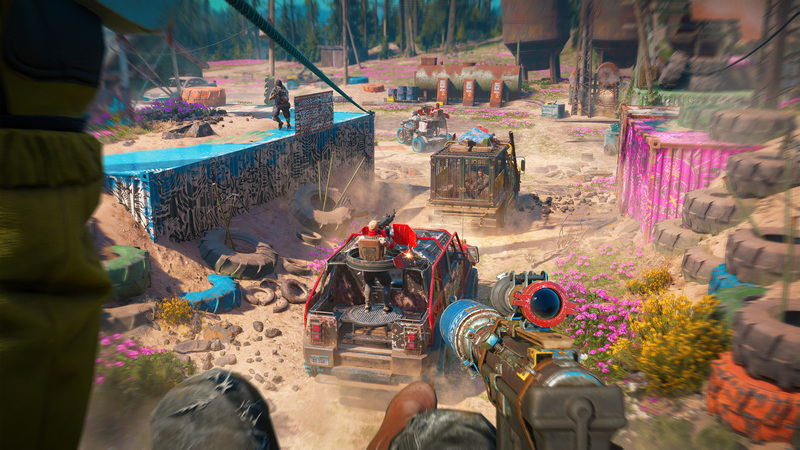 Far Cry: New Dawn [Feb 15, PS4, Xbox One, PC]: In contrast to Crackdown, it’s only been a year since the last Far Cry, but another is on the horizon. Taking place after the controversial ending of Far Cry 5, New Dawn picks up in Hope County, Montana after a nuclear apocalypse. Put on your best road warrior leathers, clean off your makeshift weapons, and face off against the Highwaymen in this cheaper standalone release. Metro Exodus [Feb 15, PS4, Xbox One, PC]: Speaking of post-apocalypse, the Metro series returns. Like its predecessors, Metro Exodus is a survival shooter, pitting series hero Artyom against horrors mutated and human as he and his compatriots continue to escape Moscow on their train, the Aurora. The game covers one year in the harsh winter that is Artyom’s life, offering players a chance see how far they can get with a gun, some dirty bandages, and a prayer. Jump Force [Feb 15, PS4, Xbox One, PC]: Bandai Namco brings together some of the biggest characters in Shonen Jump history together in one brawler. It might not quite be Dragon Ball FighterZ, but where else are you going to get a chance to pit Naruto, Dragon Ball’s Goku, One Piece’s Luffy, and Jotaro from JoJo’s Bizarre Adventure against one another? Apex Legends is the king of the hill. The free-to-play game straddles the line between battle royale and hero shooter, a mix that is seemingly made of liquid gold. 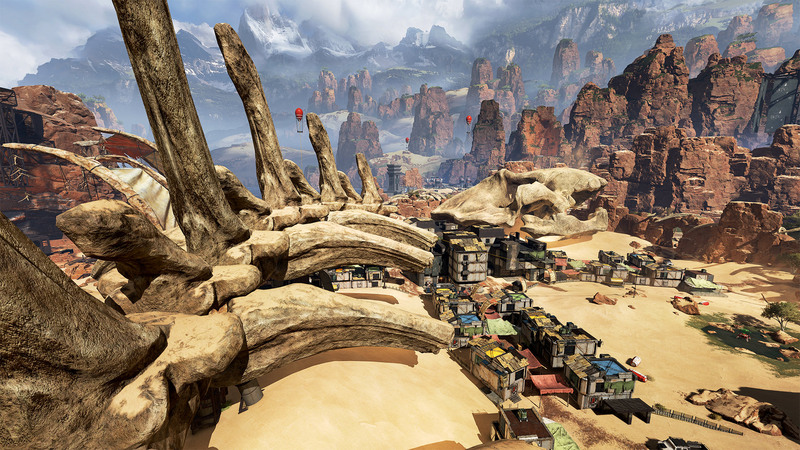 Apex Legends reached 10 million players in 72 hours, and crossed the 20 million player milestone this week. Caty and Kat both divided into the new experience: Kat was interested, but ultimately not enthusiastic, while Caty found a game that’s poised to remain a keystone of the industry. We didn’t know that Crash Team Racing was going to be remastered when we commissioned this wonderful article from freelancer Piotr Bajda, but things just worked out. Piotr talked to Naughty Dog’s co-founders and Crash Team Racing’s lead artist about how the game expanded the studio beyond what it was, into the Naughty Dog of today. Last week saw the release of Etrian Odyssey Nexus for Nintendo 3DS. The Etrian Odyssey games have been define by Nintendo’s dual-screen systems, the DS and 3DS. So with the 3DS heading into its sunset and the single-screen Switch being Nintendo’s primary console, what does the future of Etrian Odyssey look like? Nadia dives into the question. Amazon Games Studios has yet to deliver any meaningful releases since its establishment back in 2016. It announced three games at the time: Breakaway, New World, and Crucible. Breakaway launched into Early Access, but after a series of missteps, Amazon ultimately shuttered the game. Crucible and New World have been in the dark, but now the publisher is showing off the latter game for the first time. Kat takes a look at this online survival title, a sandbox adventure asking players to work together and build communities in a harsh wilderness. It’s PVP-focused, not unlike Ark: Survival Evolved or Rust, so it’ll be interesting to see if Amazon can carve out a spot for itself. Axe of the Blood God: We’re back on our run with the Top 25 RPGs of All-Time countdown. This week, we discuss our next pick, the original Fallout. It’s a series that has definitely changed over the years, but the original still provides a wonderful benchmark of storytelling and role-playing. Plus we talk about Anthem and how BioWare can avoid some of the issues that plagued Star Wars: The Old Republic. Subscribe here for the full podcast!